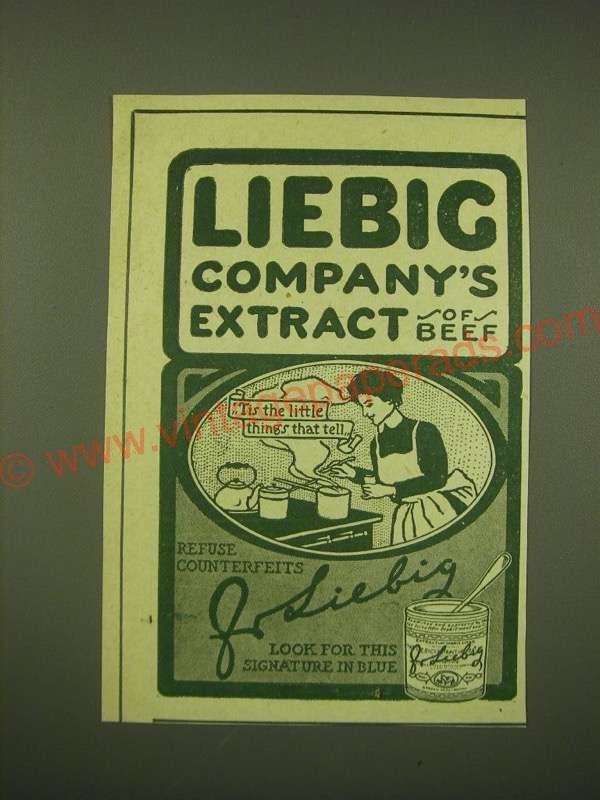 This is a 1902 ad for a Liebig Company's Extract of Beef! The size of the ad is approximately 3x4.5inches. The caption for this ad is 'Tis the little things that tell' The ad is in great condition. This vintage ad would look great framed and displayed! Add it to your collection today! 1940 Steero Bouillon Cubes Ad - When children won't eat!